Description Matt Bowers Chevrolet is pleased to be currently offering this 2015 Chevrolet Suburban LT with 99,850mi. CARFAX BuyBack Guarantee is reassurance that any major issues with this vehicle will show on CARFAX report. 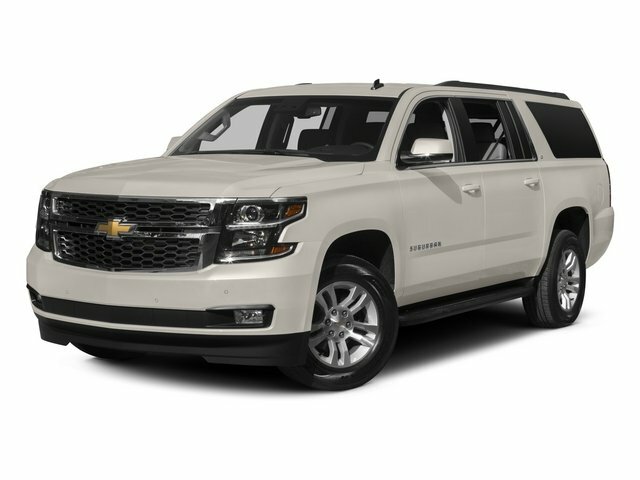 This Chevrolet Suburban offers all the comforts of a well-optioned sedan with the utility you demand from an SUV. Opulent refinements married with exceptional engineering make this the kind of car you'll want to own for a lifetime. More information about the 2015 Chevrolet Suburban: The Suburban and Tahoe are by far the best-selling models in their class, and they're tough rivals for the Ford Expedition, Toyota Sequoia and Nissan Armada, among just a few others. These two Chevy models are closely related in most ways--although there's a key difference: The Suburban is 14 inches longer in wheelbase and 20 inches longer overall than the Tahoe; and that results in a significantly larger third-row seat than in the Tahoe--as well as easier access to it, and more cargo space. Compared to rival models, the Chevy Tahoe and Suburban still stand out for their good ride quality and efficient engines, and they handle surprisingly well considering their size and mass. They're also very rugged and versatile, and can be outfitted for off-road toughness, tow ability, and interior luxury as needed. Chevrolet claims that the Suburban will be the most fuel-efficient model in the full-size SUV class, thanks to its standout combination of fuel-saving technologies like direct injection and active fuel management (cylinder deactivation). Although the profile of the Suburban and Tahoe haven't changed all that much, Chevy has managed to make significant improvements to aerodynamics. Yet chiseled sheetmetal and big, flamboyant wheels (up to 22 inches) help maintain a powerful look. Interesting features of this model are Much-improved interior, comfortable, refined ride, versatility and toughness, seating space, relatively fuel-efficient engines, and towing ability Lifetime warranty is a limited Powertrain Warranty. Owner must follow manufacturers recommended maintenance on new vehicles as per owners manual. Covers select pre-owned vehicles five calendar years old or newer, with 80,000 miles or less. Other restrictions apply. See dealer for warranty details.